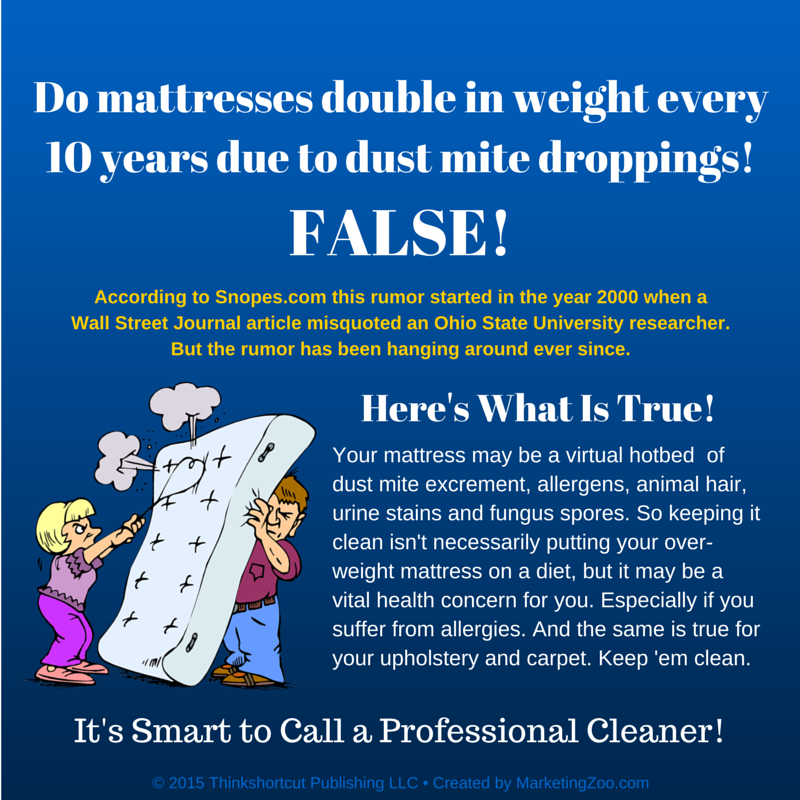 Have you seen this statement about mattresses and dust mites before? 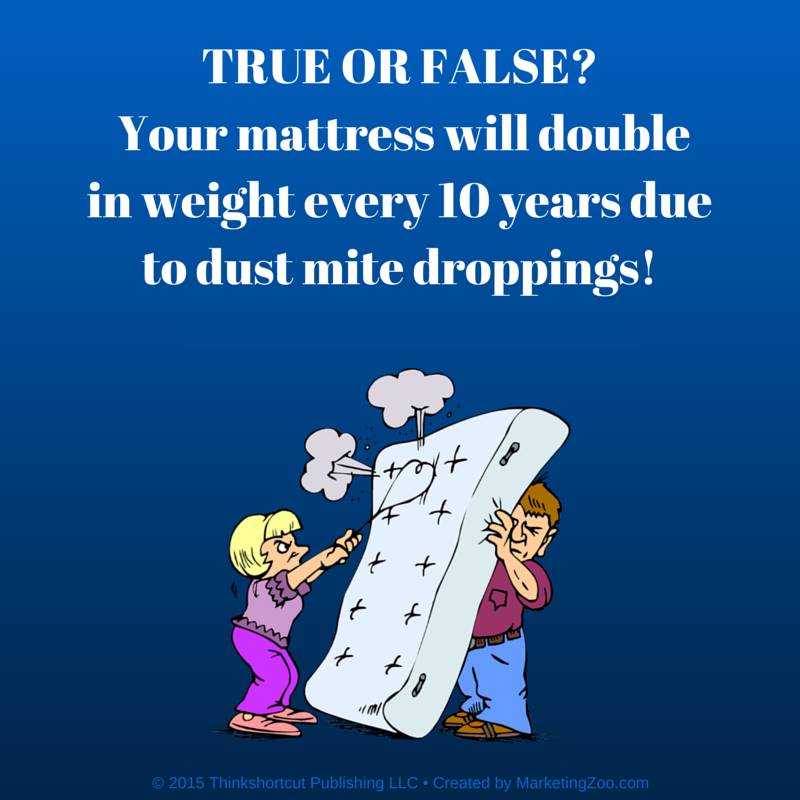 Well, the truth is that mattresses won’t double in weight in 10 years from dust mites. BUT… mattresses still collect a LOT of undesirable stuff, including dust mite excrement, urine stains, fungus spores, animal hairs and other allergens. If you suffer from allergies, an unclean mattress can really wreak havoc with your life. So, if it’s been a while since you’ve had your mattress cleaned (or you’ve never had it cleaned before), give us a call. You’ll be amazed!